Quite a while ago, I made this snippet. 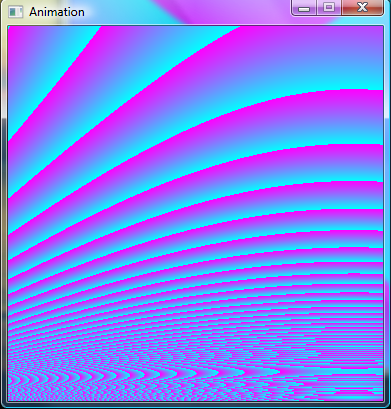 This code is basically the same, except that it adds animation. This method of blitting is very fast assuming you don't use a surface that's too large. On a 500 x 500 surface, I managed 350fps using only 0-1% of the cpu. This snippet may appear much slower because of the amount of CPU it's applying to each pixel, but the blitting itself is very fast. Also, don't forget that an average game will only redraw parts of the window that need redrawing, this redraws the whole surface every time. edit: Running in Debug may reduce speed by a lot, set it as Release. * increase the speed, though it will use up more CPU. Here's a speed test :) mine stays at about 480fps with only 2-3% CPU. Pretty cool. Looks something someone will see if they were high of drugs. Haha, what have you been smoking? I'd go crazy if anything turned out that intense. main.cpp:60: error: expected primary-expression before "unsigned"
main.cpp:60: error: expected `;' before "unsigned"
This includes the cast you've already corrected. So it's mostly just that anonymous struct you may want to look at. Where the path to the library will be whatever your install might be. Does giving the anonymous structure a name fix that? Never thought there would be so many compiler issues, and I didn't realize that anonymous structs weren't allowed. Yup. I just named it s , for example. 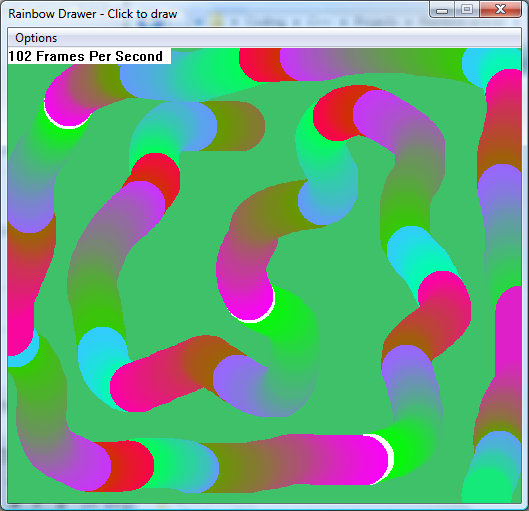 Finally got around to putting this animation code into a Visual C++ 2010 Express Windows form application. To use it, start a new form build, add a PictureBox, name it "src" and make it some even dimension like 400,400. Add a button, name it "btnStart", text to "Start", add a timer to the form, set it to 20ms and disabled. // Create a new bitmap. // This code is specific to a bitmap with 24 bits per pixels. // Draw the modified image. Have fun! THANKS AGAIN FOR POSTING THE FAST ANIMATION SNIPPET! And this is a C Sharp version from Bill Dreschel's code. The picture box I used named 'pictureBox1'. It looks pretty good. I post this here because I found this article while I was searching for a CSharp solution about something like this. Windows 7 ThreadpoolWait API design flaw?